It is no secret that weight loss and weight control are multifaceted and very complex endeavors, which span across every aspect of a person’s life. There are lots of reasons why people are not able to successfully lose the weight or keep it off. One very common error that people make, is taking themselves off their list of priorities and that act can easily mean the difference between success and failure. It is not only busy business executives and celebrities that experience this, although they suffer from this more than others because their careers and business are more of a priority. Almost everyone at some point in their lives have put their careers first and sometimes it has to be done and you can’t help it. But by continuously de-prioritizing yourself then it is only a matter of time until you become sick, unhappy, fat and maybe even end up killing yourself in the long run. In general when people set the priorities of their life and put the values of their lives in order, then health is very often not on the top of the priority list, but it has to be. All the things in your life depend on you to being in proper physical condition and optimum health. If you become seriously sick or even die, then all the things you were busy about, no longer have any relevance. Often there is a dilemma for many people when they hear that their own well-being and health have to be higher on the list of priorities than their family. This might seem like totally selfish and even absurd. Sure, it is selfish and that is how it needs to be! If your intent is to help others then of course this is a very noble thing to do. But if you don’t take care of yourself then how on earth are you able to take care of your loved ones in the long-run? People often don’t think that what is really selfish, is if a person has a reversible and preventable health condition and he/she does very little or nothing about it, because he/she is to busy taking care of everyone else or taking care of business. Most of the time people are willing to do anything possible to cure a disease or end the pain, but they do practically nothing to prevent the disease in the first place. It is only when illness really takes them down or if the pain becomes debilitating that something seems to change in their mind. What often triggers a person to change is the negative motivation to get out of pain – physical or emotional. 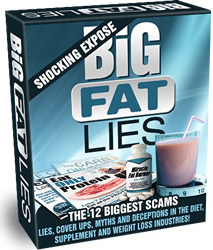 When it comes to body fat then it is not something that appears overnight – it creeps up on you! It is not such a big deal at first if you gain a pound here and a pound there. It is not hard to postpone taking action until it becomes too late and you already have some type of a health issue or emotional breakdown. If you have lots and lots of all kinds of responsibilities and you decide to put yourself first then sure it is selfish – “appropriately selfish” that is! Very often the answer that so many individuals give, is that they could never do this, because their career, family or business are on the top of the list. Others say that taking care of other people is their number of priority. It is not uncommon for a father to be so out of shape that he is unable to throw a football or play soccer with his son because he gets out of breath in an instant. Isn’t it unfortunate when a mom gets so fat that she is unable to fit into amusement park rides and has to wait on the sidelines when her daughter rides alone? Isn’t it sad, unfortunate and selfish when the main breadwinner of the family gets so sick that he is no longer able to earn money for the family? It is not selfish if a certain disease strikes unexpectedly but if a disease is preventable, then it is selfish, isn’t it? Such things happen all the time and are part of reality, not wild exaggerations. It could be said that the most selfish thing a person can do, is not taking care of his or her health. Not putting yourself first is not selfish, it is required. Of course it is difficult to focus on yourself and make yourself a priority because everyone is stressed. There are some many things to do, some many commitments and so few hours in the day. Even if you have a successful business and a healthy family, then stress to make it all happen is still stress. Lots of people are struggling with all kinds of daily problems that annoy them, such as paying bills, taking care of the kids, focusing on spouses, dealing with your tax returns, millions of errands to do. There are also so much overload of information – TV shows to watch, Facebook, text messages, E-mails, books to read etc. Life is moving so fast and it seems you just can’t catch up. In all of this mess, finding the time for yourself seems impossible. Whenever you feel like you have millions of things to do and you seem lost in all the chaos then you need to STOP. Try not to think about anything, take a few deep breaths, try to center yourself and shift your focus and attention to the most important things in your life. None of the things that seem to matter, really don’t, you can only take of your business and family if you put yourself first. It is extremely important during the day to have time for yourself. You need to have the time to relax yourself, go for a workout, go a fix yourself a healthy fat burning meal or snack, prepare your meals for the next day. If you have found the time for yourself and taken care of yourself and your needs, then you feel a million times better because any action that leads for self improvement builds confidence. If you find the time for yourself you will become much more efficient in dealing with all the other obligations in your life.